Do You Owe Taxes on Your Cryptocurrency? Cryptocurrency, also known as virtual currency, is a digital asset. Investors and business owners are drawn to it, and so is everyone else – with cryptocurrencies’ values skyrocketing in the past few months, even average people with little investment know-how are getting involved with this new digital money. 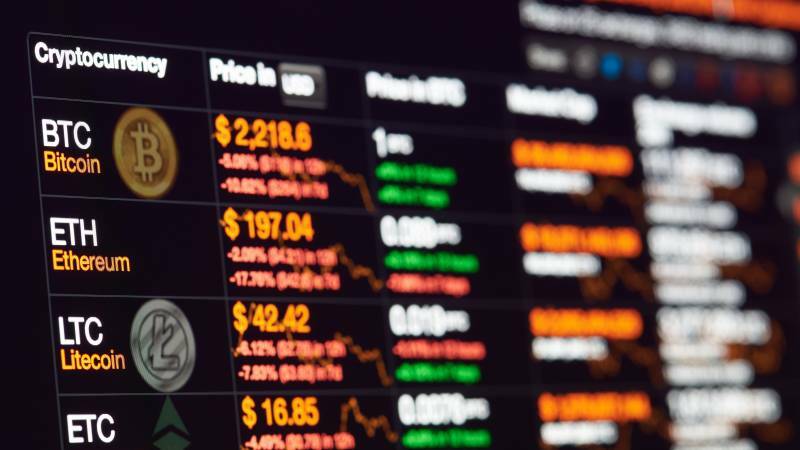 Backed by mathematical algorithms and software rather than the government or a big bank, cryptocurrency isn’t heavily regulated. While the chance to be your own bank captivates many, there’s also a danger hiding in cryptocurrency: taxes. Since cryptocurrency has only existed for a decade, the government is still catching up when it comes to taxation. Early crypto adopters were able to avoid any liabilities for their holdings. However, if you’re a regular investor or purchaser, your cryptocurrency will most likely impact your obligations and tax returns. Do you know if your cryptocurrency is held to the same tax law as your hard-earned dollars? The question of tax obligations for cryptocurrencies is a big one this year, and it’s important to know whether or not you need to pay up when you file your tax return. Cryptocurrency’s digital nature means it’s extremely liquid. While it’s easy to complete transactions with people around the world, only a few nations have begun regulating this new currency for tax purposes. Those who make virtual currency payments need to report the details the same way they would when using cash. If you pay employees in cryptocurrency, you need to withhold and report taxes. Self-employment tax rules apply to independent contractors, freelancers, and service providers who accept cryptocurrency payments. Gains and losses derived from buying or selling cryptocurrency should be included in taxes. This affects your tax return if the cryptocurrency counts as a capital asset (something that you own or utilize for investment, personal or pleasure reasons as defined in IRS Publication 544). Do You Need to Report Your Cryptocurrency? Your use of cryptocurrency determines what you’re able to report or not report on your tax returns. For instance, you might not have to worry about reporting capital gains on crypto that you acquire to fund your payroll, but you’d still have to calculate and withhold regular income taxes. Those who tend to get in trouble with the IRS are those who obtain large amounts of cryptocurrency and then sell it after its value has grown. If you do this and do not report your gains properly, you’ll come under increased regulatory scrutiny. The IRS is cracking down on those who use digital exchange platforms to turn a profit by converting virtual currency as they would with traditional investing. Pay for services or goods. It’s smart to be as cautious as possible. As official documents like IRS Publication 544 make abundantly clear, tax rules for cryptocurrency aren’t exactly straightforward. For instance, you can give someone cryptocurrency as a gift and not pay taxes yourself, but your lucky recipient may incur a gift tax if you transfer more than a certain amount. Hold onto cryptocurrency for a year or more and you can pay long-term capital gains tax rates, which are significantly lower than their short-term alternatives. You’ll pay whatever your normal tax rate is if you claim short-term gains. If you received cryptocurrency from events that don’t occur with other types of investments, such as Coinbase’s 2017 distribution of Bitcoin Cash, then you’ll need to report it in your return for the year. This distinction between two similar virtual currencies, Bitcoin and Bitcoin Cash, just goes to show that not all digital assets are viewed equally by the IRS. In short, each specific tax situation should be handled on a case-by-case basis. Neglecting your tax obligations is a dangerous idea. According to Publication 594, the IRS can take action by charging you late fees, garnishing your wages, or seizing your property and assets. They might also prosecute you for tax evasion, especially if you make enough money trading virtual currency for the IRS to subpoena your transaction history from a major exchange. In short, pay taxes on your cryptocurrency, and if you’re not sure how to get started, talk to an expert. Acting proactively rather than reactively can prevent financially damaging tax situations.